iOS 6 beta is now available to download for iphone ,ipad and ipod. iOS 6 includes more than 200 new features compared to iOS 5, such as Facebook integration, numerous Siri enhancements, , “Do Not Disturb” feature that silences phone calls and notifications, a new in-house mapping solution with integrated turn-by-turn navigation and much more. 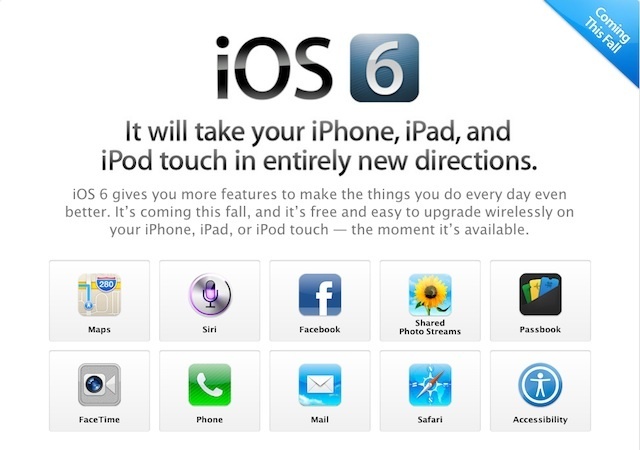 Apple’s iOS 6 software will launch to the public this fall, likely around the same time the next-generation iPhone launches, but in the meantime anyone with a developer account can now download the iOS 6 beta from Apple’s developer site.